A salan is a gravy dish popular in Hyderabadi cuisine. Elsewhere in this blog you will find the recipe for Mirchi ka Salan. Arbi is what colocasia (also known as Taro Roots) is called in Hindi. We call this Alvamande in my mother tongue, Konkani and Kesavuna Gedde in Kannada. I use this vegetable from time to time. 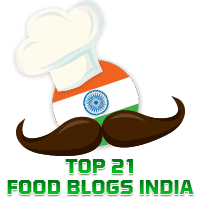 If you are interested, do check out the recipes for Crispy Arbi, and Arbi Masala Fry in this blog. This recipe is adapted from "Khatti Arbi ka Salan" from Master Chef Sanjeev Kapoor in his book, "Simply Indian." We thoroughly enjoyed this flavourful salan which we had both with pulao and with rotis. *** Panch Phoran is a mixture of equal quantities of mustard seeds, cumin seeds, fenugreek seeds, fennel seeds, and onion seeds. Wash and cook the arbi in salted water till they become tender. Take care that they don't get overcooked. Peel and slice into roundels. In a kadhai, dry roast the groundnuts and sesame seeds separately until lightly browned. Allow it to cool and transfer to a small mixer jar. Grind to a fine paste with a little water. Keep aside.